See what our students have to say about our private tuition services in Enfield, Middlesex. Since our learning centre was founded in 1995, many students, both young and mature, have benefited by gaining qualifications with excellent grades (usually grade As, for example, in Key Stage, GCSE, and Advanced Level subjects, and First or Upper Second-Class Honours in degree level subjects). Increasingly popular over time, we pride ourselves on the services we offer, and our students’ satisfaction continually reflects that. "Thank you so much for taking me on in your Academy! I have truly had an amazing, sensational experience here at your academy, whether it was filing or science experiments! I LOVED IT ALL! You both have helped me to improve my organisational skills and time management skills, as well as several other skills and techniques. You have helped me to widen my knowledge in various areas, particularly in science from the science experiments! I hope your Academy continues to rapidly grow. I will definitely recommend you. I hope to visit this academy sometime soon again! I really enjoyed my work experience. THANK YOU!" "I have been going to the Dr Sergis Academy for the past two years, during year 11/12. In my first lesson I was a bit shy and thought that I would be treated as if I was in school, but no. Dr Sergis has a different type of teaching that allows students to be comfortable in a teaching and learning environment. The teaching at the Dr Sergis Academy is exceptional and allows students to actually understand what they are being taught rather than just learning it for the sake of the exam. Being a student at the Dr Sergis Academy has helped me gain further background knowledge of science outside of the school syllabus and learn new revision techniques which actually work. During the lesson, you are given learning materials in which you read and get help on, as well as going through them. This allows you to fully understand the topic and concept behind it. On your way out, you are given homework to do for the next lesson or an exam paper if you wish, which you can get from Gabriella the receptionist, who is very helpful. I would fully recommend the Dr Sergis Academy as you are guaranteed exceptional teaching and standards from both Dr Sergis and Gabriella, the receptionist." "I have been attending the Dr Sergis Academy for three years and I have always felt welcome and have always received the resources I need to aid my learning. Since I have been coming here I have seen my grades improve and I have become more confident in Maths, English and Science." "Thank you so much for the help and support you have given Emily over the past 18 months. Emily has benefited so much from your expertise and I'm sure she will do well in her exams. I know she has thoroughly enjoyed your lessons too." "Thank you for being my tutor for Maths and English. With your help, I achieved: Level 7 (A) in English Language, Level 5 (C/B) English Literature, 4 (C) in Maths." "Thank you for all of your help this last year in passing my Maths GCSE!" "Thank you for all the help you have given me over the last two years. Not only have you improved my scores in exams but have expanded my wider knowledge of Chemistry." "Thank you so much for all your help the past year. I feel so much more confident in Maths and Science. Thank you!" "I am very grateful for all you have taught me over the past year and a half. Your wisdom and enthusiasm for Science have helped me to excel in school and gain a greater understanding of the subject. The help that I have received from you is immeasurable and I am very honoured to have been taught by you sir, I hope all the best for you in the future." "I should like to extend my many thanks for teaching Robert over the past 5 years, and helping him achieve his A-levels and excellent degree results in biomedical sciences"
"Many thanks for teaching Anita and helping her achieve her chemistry and biology A-levels"
"Danielle Enjoys and Looks Forward to Maths"
"Thank you very much for your patience and perseverance in teaching Danielle - he is far more confident now in his abilities and, unlike before, enjoys and looks forward to maths at school." "Enjoyed All the Sessions with You"
"Thank you for all your hard work in teaching Simon A-level physics. He enjoyed all the sessions with you. I am now recommending you to our friends." "My Daughter Obtained Excellent Grades"
"Thank you very much for teaching chemistry, physics, and biology to my daughter, Lyndsey. She has really benefited a great deal in her science subjects and has obtained excellent grades. I will now recommend you to a friend of mine, whose son is about to start his GCSE subjects." "I Thoroughly Enjoyed the Lessons"
"Thank you very much for teaching me GCSE chemistry, biology, and physics. I thoroughly enjoyed the lessons and obtained grade A stars in all 3 subjects!" "I should like to thank you so much for teaching Emil - he has achieved very good grades in his A-level maths, mechanics, and physics." "Pleased with My Son's Excellent Results"
"Thank you so much for teaching Richard A-level mechanics. He is very pleased with his excellent results." "I was very pleased with Elias and Zak's excellent results in A-level maths, statistics, and physics. Thank you for all your help!" "Have Achieved Highly in My Subjects"
"Many thanks for teaching me science and mathematics, I enjoyed all the lessons and have achieved very well in my subjects, thanks to you!" "Great Results in Science and Maths Thanks to You!" "Thank you very much for teaching Justin and Cheree, they thoroughly enjoyed their lessons with you and done very well in science and maths at school, thanks to you!" "Many thanks for teaching Hannah. She is very happy with the results of her GCSE subjects!" "My Son Feels More Confident Now"
"Thank you for teaching Timothy. He has learned a great deal and feels more confident now in his studies"
"My Daughter Has Benefited a Lot"
"Many thanks for all your help. My daughter, Rhiannon, has benefited a lot in her A-level Statistics"
"Very Pleased with My Excellent Grades"
"Thank you very much for teaching me A-level maths, mechanics, and statistics. I am very pleased with the excellent grades that I obtained, which would not have been possible without your help!" "Thank you very much for teaching Ashiti and Namrata. They did very well in their exams! I have now recommended you to my friends." "I should like to thank you for all your help in teaching my daughter, Parieta. She is happy with her A-level biology results!" "Very Pleased with My Results!" "Thank you for teaching me A-level chemistry, biology, maths, and statistics. I am very pleased with my results!" "Thank you for all your help in teaching Tom A-level physics." "My Son Has Improved Immensely"
"Thank you so much for teaching Leon. He is more confident now in his subjects and has improved a lot since you've been teaching him." "I Now Feel More Confident in My Abilities"
"Thank you for teaching me science and maths. I now feel more confident in my abilities and choice of career. I have now recommended you to my friends." "I Have Now Achieved a Good Honours Degree"
"Thank you for helping me in my studies, particularly in my report writing and in the critical analysis of my thesis. I have now achieved a good Honours degree in social sciences and have recommended you to my friends." "My Son Has Got Through the First Years of His Degree"
"Thank you very much for teaching advanced mathematics to my son Michael. He has now managed to get through the first and second year of his Mechanical Engineering degree, thanks to your help!" "Many thanks for the help you gave me. Just to let you know that I got A’s in both my maths and science." "I've Done Well in All My Subjects"
"Thanks for all the help and kindness you gave me. I've done well in all my subjects - thanks for everything!" "I would like to thank you for all your support and help during my training - I really appreciate it." "Many thanks for your hard work with Isaac. He obtained grade A’s in his maths and science, and his teachers at Bishop Stopford's school are well pleased with him." "Thank You for Everything You've Done"
"Thank you very much for everything you have done for me during the past 3 years. I have really appreciated it all. Thank you once again!" "My Grade Was a Reflection of Your Hard Work"
"I am just writing to tell you that I got a grade A in my AS Biology and was very pleased. I want to thank you for all the time you put into helping me achieve in biology and I am sure my grade was a reflection of this- thank you very much!" "Many thanks for all you have done at Enfield County School." "Your Help Was Very Much Appreciated"
"Thank you for all your help in teaching me A-level chemistry - it was very much appreciated." "Your Enthusiasm and Faith in Students is a Rare Quality"
"Thank you for all your help in A-level chemistry (I obtained an A). I really feel I have learnt so much from you. You really are a brilliant teacher. Your enthusiasm and faith in the potential of students is a rare quality. This combined with your knowledge has made your lessons enjoyable. I owe a lot to you." "Many thanks for all of your help in teaching me A-level chemistry." "Found Your Tuition Very Rewarding"
"Thank you for teaching me and supporting me for my exams. I found your tuition very rewarding and it really benefitted me in my exams. Thanks." "A Warm Thank You for All Your Kindness"
"Just to say a warm thank you for all your kindness. I have really improved in my GCSE Maths and Science studies, thanks to you." "Thank you very much for teaching me and my sister." "Thanks for All Your Help and Guidance"
"Many thanks for all your help and guidance in teaching me A-level Chemistry and Biology." "Thanks for Teaching Me A-Level Chemistry"
"Thank you very much for all your help in teaching me A-level Chemistry over the year." "Appreciate Your Support and Advice"
"Many thanks for all your help over the past three years in teaching me GCSE and A-levels in science and maths. I also appreciate the support and advice you gave during my final year in A-level Chemistry and Biochemistry." "Thank you very much for your help in teaching me GCSE Science and Maths over the past year." "Our Son and Daughter Passed Their Exams Thanks to You"
"Thank you very much for teaching our son and daughter. We are very pleased that you helped Zoia pass her Latymer School entrance exams. 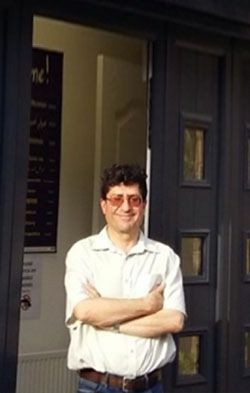 Rafay is also doing well in his A-level Chemistry and Biology exams at Latymer, thanks to you." "Our Children Are Doing Very Well"
"Thank you for teaching Shanti and Akash. Akash is now doing very well with his A-level Chemistry, Maths, and Statistics studies at Latymer School." "Many thanks for all your help in teaching my daughters, Irene and Fanoula. They obtained very good results in their Key Stage 2 exams." "Thank you very much for all your help with Ciara over the years. She has made excellent improvements in her English, science, and maths studies at St. Anne's School." "Thank you for all your help and guidance - I have made very good improvements in my exam results in English, maths, and science at Key Stage 3, since you've been teaching me." "I Feel Far More Confident"
"Thank you for teaching me A-level Maths and Mechanics- I feel far more confident in these subjects now." "Found Your Lessons Very Enjoyable"
"Many thanks for all your valuable help in teaching me A-level Physics and Chemistry; I found your lessons very enjoyable." "Many thanks for teaching Alan and Susan. I was very pleased that Susan passed her entrance exams for St. Michael's School. Alan has also obtained excellent results in his Key Stage 2 exams." "Thank you very much for teaching me A-levels in mathematics, mechanics, chemistry, physics, and biology over the past 2 years. I thoroughly enjoyed your lessons." "You've Helped Me so Much"
"Thank you so much for being such a good tutor. You've helped me so much and I really appreciate all you've done for me. I really enjoy chemistry now! Thanks again!" "My Daughter Has Really Benefited from Your Lessons"
"Thank you very much for teaching my daughter for four years. She has really benefited from your lessons in science and mathematics at GCSE and A-level." "Found Your Lessons Really Interesting and Worthwhile"
"Thank you for teaching us A-level Chemistry, we have found your lessons really interesting and worthwhile. We got a grade A!" "Really Enjoyed Your Interesting Lessons"
"I have really enjoyed your interesting lessons in mathematics. Thank you very much for all your help." "Really Benefited in My Understanding of Maths"
"Found the Lessons Very Interesting and Enjoyable"
"Thank you very much for teaching us science and mathematics. We found your lessons very interesting and enjoyable." "Very Pleased with My Good Grades!" "Many thanks for teaching me science and mathematics at GCSE. I enjoyed your lessons very much and I was very pleased with my good grades!" "Thank you very much for teaching me A-level Biology. I thoroughly enjoyed your lessons." "Really Appreciate the Help You've Given Me"
"I really appreciate the help you've given me over the last two years for A-level Chemistry and Biology." "Many thanks for teaching me A-level Physics. I found your lessons very enjoyable." "Many Thanks for Preparing My Daughter for Exams"
"Many thanks for teaching and preparing my daughter for her Key Stage 2 exams." "Thank you very much for all your hard work in teaching me GCSE Mathematics." "Thank you for teaching me science and mathematics at Key Stage 3. I enjoyed your lessons and obtained very good grades." "Our Daughter's Grades Have Really Improved"
"Thank you very much for teaching our daughter mathematics at Key Stage 3. She really has benefited from your lessons and her grades have much improved. She always looks forward to your lessons!" "I have learnt a great deal since I started attending Dr Sergis' lessons. I've found his sessions inspirational. I am now far more confident in my studies than before." "Have Gained a Much Deeper Understanding of Mathematics"
"I thoroughly enjoyed Dr Sergis' lessons. I've gained a much deeper understanding of mathematics at A-level from him than at school. My grades have now improved considerably." "Thank You for My Daughter's Tuition and Continued Support"
"Dr. Sergis gave my daughter Elizabeth Richards tuition for her A-level mathematics, and she achieved a grade B. Elizabeth went to Lincoln University and Graduated with a First-Class Honours degree in Accounting and Finance. Thank you Dr. Sergis for the tuition and continued support that you gave to Elizabeth, it is really appreciated." Contact our learning centre in Enfield, Middlesex, today to learn why so many students turn to us for quality tuition.